Why are you saying Nick Foles is a veteran starting quarterback? Isn’t he a backup quarterback because he couldn't make it as a starter? I refer to Jaguars quarterback Nick Foles as a “veteran starting quarterback” to differentiate from rookie starting quarterbacks – or even quarterbacks on their first NFL contracts. Mostly, I refer to him as a veteran starting quarterback because he is: A, a veteran; and B, the Jaguars’ starting quarterback. Specific to your second question: yes, Foles was a backup with the Kansas City Chiefs in 2016 and the Philadelphia Eagles in 2017-2018 because he struggled in St. Louis – and because Alex Smith and Carson Wentz were on those respective teams. But he excelled enough in Philadelphia the past two seasons that it’s reasonable to believe he can succeed in the right situation. For Ohio State edge rusher Nick Bosa to be there at No. 7, he will probably have to commit a crime between now and the draft. Even then he might be gone. As it appears there is a likelihood that we may draft another player from the state of Florida ... how much money do you think we can save in the scouting department if we are only going to choose players within 150 miles of Jacksonville? We can petition the league to transfer the saved money to the salary cap or perhaps, a supplementary draft pick. Oh, by the way, how has that worked out? ... Blake, Taven Bryan, Reggie Nelson among others? I'm sure I forgot several names. The Jaguars have selected countless players outside the state of Florida in recent seasons, but wait: You’re uncommonly clever, so you knew that already. Hi, O: With four of our last five first-round picks coming from college in Florida, and now being “linked in mocks” to Florida right tackle Jawaan Taylor, do you think we have too big of a bias toward colleges close to home? Or is this simply a coincidence in recent times? It jumps out as only really Jalen Ramsey has been a hit so far from the list. It's coincidence and it’s certainly not bias. There’s literally no reason to have bias. And while there might be an added familiarity for fans with a local player, familiarity doesn’t come close to mattering enough to influence the decision. Remember: Florida schools produce a lot of good players, and the players the Jaguars have selected from Florida schools have been highly-regard prospects. Not all have worked out as the Jaguars hoped. That doesn’t mean players from Florida are bad selections. Mr. Zone, it sounds like in Foles we have a quarterback with the durability of former Jaguars quarterback Blake Bortles but who is way more accurate— and possesses talent and leadership qualities responsible, at least in part, for the signings of former teammates James O'Shaughnessy and Chris Conley. If the defense stays tight, I'm likin' our chances. My only question is "Can he beat Tennessee?" And, no … he never has played them. So, one fer Nick? I think? O-Man, you have been consistent in saying you believe the Jags will take offensive line at No. 7 overall in the 2019 NFL Draft – specifically the best offensive tackle available, maybe even a right tackle. Right tackle would be horrible at No. 7. This is a time to be bold, and if Iowa tight end T.J. Hockenson is available at No. 7, they must take him. He has potential to be a Gronk-like tight end – something that most defenses can't account for one-on-one. The Jags’ offense needs this twist. I sure hope you are wrong. Right tackles can be found all day long on Day 2 and 3. Thoughts? I agree that the Jaguars’ offense needs a twist – and specifically, it needs an influx of production at tight end. And if the Jaguars believe Hockenson will be anything like former New England Patriots right end Rob Gronkowski, I am sure they will select him. But being that good is the tallest of orders – and I don’t get the idea that Hockenson is considered quite that level of (generational) talent. As for your thought that right tackles can be found all day long on Day 2 or 3 … yes, but good ones? Ones who can play immediately? Perhaps not. "The Jaguars believe DJ Chark Jr. will develop in his second season and that Lee is better than many observers believe" … Didn't the Jags also think Keelan Cole would continue to develop into his second season? Also, why do you think there's such a disconnect between what fans think about Lee versus what the team thinks? He's had issues with drops and getting open - I know the mistakes stand out to us and we don't see the game film isolated on any specific player - but what does the team know about him that fans don't know? The Jaguars selected Chark in the second round of the 2018 NFL Draft and seriously considered selecting him late in the first round. He’s a different situation than Cole, who entered the NFL as an undrafted free agent in 2017. And while there’s no guarantee that Chark will develop, you can’t draft every position every season; sometimes you must trust your past drafts and wait for players to develop into what you projected. Regarding Lee, the disconnect stems from what you mention – that Lee has had issues with drops. He also hasn’t been a 1,000-yard, elite receiver. What he was in 2017 was a very good, tough receiver – particularly on third downs. The Jaguars missed that presence last season. And he has been a very good run-blocker from the receiver position. Do you foresee the Jaguars signing anyone from the Alliance of American Football? Or could there be a concern about the players picked up being too drained or beat up by mid-NFL season? I expect the Jaguars could sign an AAF player or two. I wouldn’t expect AAF players to make major impacts, but it could happen. The fatigue of a long season could be a factor, but again: I don’t expect many teams will sign AAF players thinking they will be core players, so it will be a manageable risk. 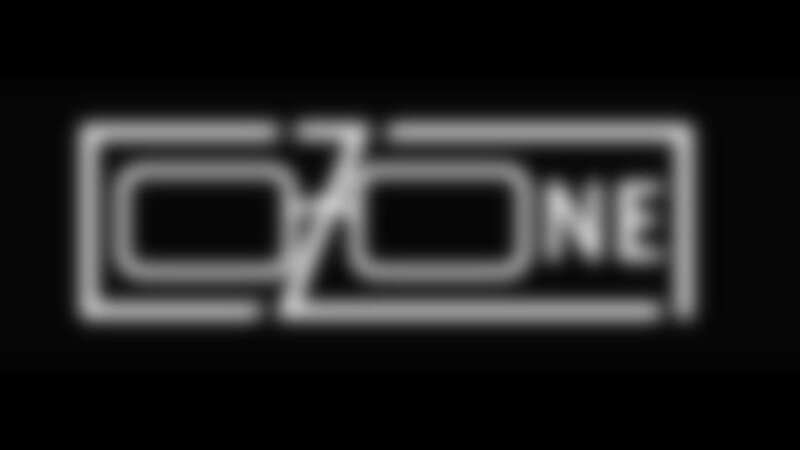 Hey Zone, I disagree with your campaign for a “traditional” approach at No. 7 in the first round for the Jaguars. I’ve studied the available talent and I agree tight end is deep but so is offensive tackle. Hockenson is a three-down tight end that would change this offense. Not just in 2019 but for many seasons. I think you’re wrong. Astute, loyal readers of this column – and he knows who he is – know there is no “campaign” to select an offensive lineman No. 7 overall in the NFL 2019 NFL Draft. I have written and said often that I think the Jaguars will do that, but that’s far from a campaign. Which do you think will be more likely to happen ... the Jaguars draft one of the Iowa tight ends or an offensive lineman in the first round? Sir Zone, do you think it would be enough to use our extra third and second to move up to get back in the first to get a tight end if we go offensive line with No. 7? That would probably be close to enough with perhaps a seventh-round selection from 2019 or 2020 added to the mix. What would it cost to move up two spots just ahead of the Giants? At least a third-round selection. Maybe a second. We have some players coming back from injury – and one or two that had physical/mental setbacks – expected to contribute next season. I understand that the coaches can't put players through individual workouts to test how things are progressing due to the Collective Bargaining Agreement. However, are there ways that the team monitors progress that are allowed? Or is it just hoping that a player will be healed or in better shape instead of drafting a replacement? For example, besides social media, is it common for agents to send videos of drills or for the team to watch workouts happening on site? Injured players may work out and rehabilitate at a team’s facility at any time and are encouraged to do so throughout the offseason. Trainers and team physicians may work with players during these times, though the players cannot meet with or discuss football with coaches.